Secure Data Recovery Services provides Canton, Michigan with a dependable source for hard drive data recovery, RAID recovery and repair, mobile data recovery, tape and other professional media services. Regardless of your media type or the cause of data loss, our Canton location offers a range of services to quickly recover your files. See some of our featured data recovery services below. All of our locations are accredited with the Better Business Bureau, and our A+ rating reflects a commitment to exceptional customer interaction with every case. The BBB issues company reviews to report accreditation levels and ratings. Our latest review details the standards that led to our top rating of A+. Data loss or corruption has many causes including device failure or accidental erasure, but regardless of the cause our Authorized Partner Location in Canton has the solutions. Our technology, tools and skills are second to none. We work with any type of media, device or logical components including databases, virtual servers, hard drives, memory cards, SIMs, SSDs, USB sticks, RAID arrays and controllers, tape, DVRs, servers, laptops, smartphones and so on. Our media evaluations are always free, transparent and accurate. You receive the details of your media’s condition, the data that is recoverable and multiple options for service to meet your exact needs, including 48-hour emergency service. All work is fully backed by our No-Recovery/No-Cost guarantee. All of our data recovery specialists are certified and continually update their skills. 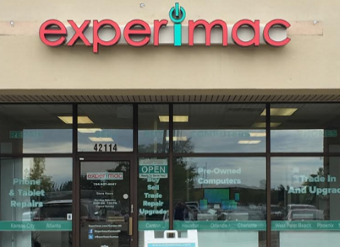 We hold Hardware Manufacturer and Vendor Approved and Certified Mac Technician certifications and were the first U.S. data recovery company to install Class 10 ISO 4 Cleanrooms. Our business practices are regularly verified by third-party auditors. We hold GSA Approved Contractor, TRUSTe Policy, D&B Verified, BBB A+ Accreditation and a #1 rating by Top Ten Reviews. All media and devices under recovery or restoration are protected by compliance with SOC 1® and SOC 2® Under the Guidance of SSAE 18, hardened 256-bit encrypted data networks plus compliance with PCI-DSS and EU-US Privacy Shield. Additionally, our facilities are monitored 24 hours a day and protected by extensive physical and logical controls. Your sensitive business or customer data is always secure. Our knowledgeable customer service representatives are available 24/7/365 at 1-800-388-1266. Call today for answers to your data recovery questions and to set up a risk-free, confidential case evaluation with our Canton Authorized Partner Location. They also provide information on our other professional data services including digital forensics, e-discovery, database repair, enterprise services, data conversion or migration. I found myself and a very difficult situation having lost a substantial amount data that was very important and very time sensitive. I contacted secure data recovery and Rob Anderson answered my call on a Friday near the end of normal business hours. I learned a great deal about my options from Rob and he guided me through an emergency data recovery process. He emailed the link to initiate the process, sent materials to overnight my failed data source and facilitated immediate work on my project over the weekend. I was updated on the progress late Saturday afternoon. By Monday the data was in route to me, fully recovered and ready for use. I was able to resume normal function and meet my dead lines the following week. I have nothing but brace for Rob Anderson and Secured Data Recovery. I feel that they gave me excellent and personalized attention. Alec, Got all data back and user is so happy! Alec was so great. He was so professional and walked me through every detail of the process and he kept me informed along the way. Hopefully, I won't come across this situation again, but if I do or anyone else does I know where to send them! Excellent job!